Sapsali is a treasured dog of Korean which was primarily used to shoo away ghost and evil eyes. 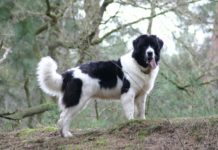 It is also known by name Sapsaree and like Old English sheepdog it has bangs which fall on its eyes. The dog exits in Korea from thousand centuries and its name in Korea translates to- “sap”- means to dig out and “sar” means ghost. According to ancient mythology – This dog roots out ghost and proclaims to ghost to dare not come when Sapsaree is around. This dog is also known for bringing good luck and blessings in family. 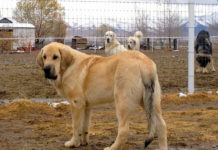 They are also called as “lion dog” in their native land because of their strong legs and heavy upper body. 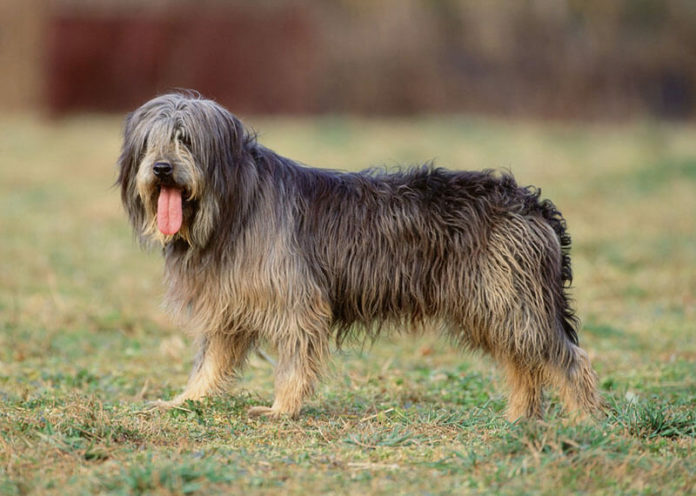 Its coat is abundant and shaggy and comes in rainbow color. The dog is known for its compassionate nature not only towards humans but also animals. They are renowned in their native land for courage and even temperament. The dog is highly protective and will bark to let you know that someone is at the door. It is not known to be excessively aggressive and loves to play with children. 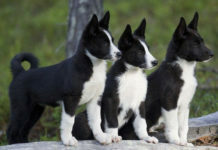 It is the oldest breed of Korea. It is believed that the dog was present in the “Three kingdoms” which lasted till 668 AD. The royal families of Korean own this dog as it was considered as “token of fortune”. They nicknamed it as “ghost dog” because it was used to get rid of evil spirits. Eventually the breed got famous among commoners too. 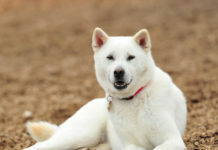 Though the dog is considered as “treasure of Korea”, it is a rare and unknown breed outside its country. 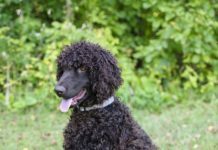 12.It is not a hypoallergenic breed. 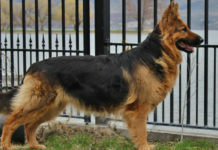 Ideal height of male breed is 50 – 58 cm and female breed height is 48 to 55 cm. Male weighs around 18 – 28 kg and female weighs around 16 – 25 kg. The dog has dense coat which is long. Its coat can be wiry or straight. 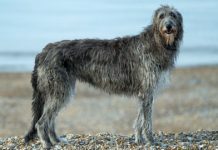 Because of presence of abundant coat which is long, it is important to regularly brush its coat. 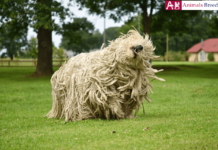 Its hair should fall on its eyes just like Old Sheepdog. It comes in combination of many colors like brown, red, gold, black and grey. 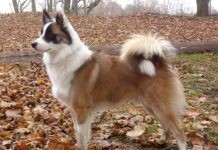 Though in appearance it looks like herding dog but it was bred for spiritual purpose instead of physical. 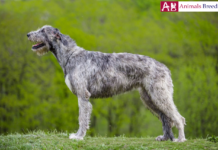 Their coat is similar to Bearded Collie. 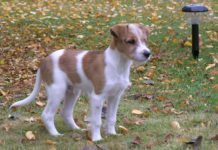 Personality – The dog has a wonderful personality. It looks like a tiny lion because of its abundant and bulky upper body. It is always a pleasure to be around this dog. They possess incredible patient around humans and animals. They form strong bonds with their family members and become highly protective of them. With strangers they are aloof. 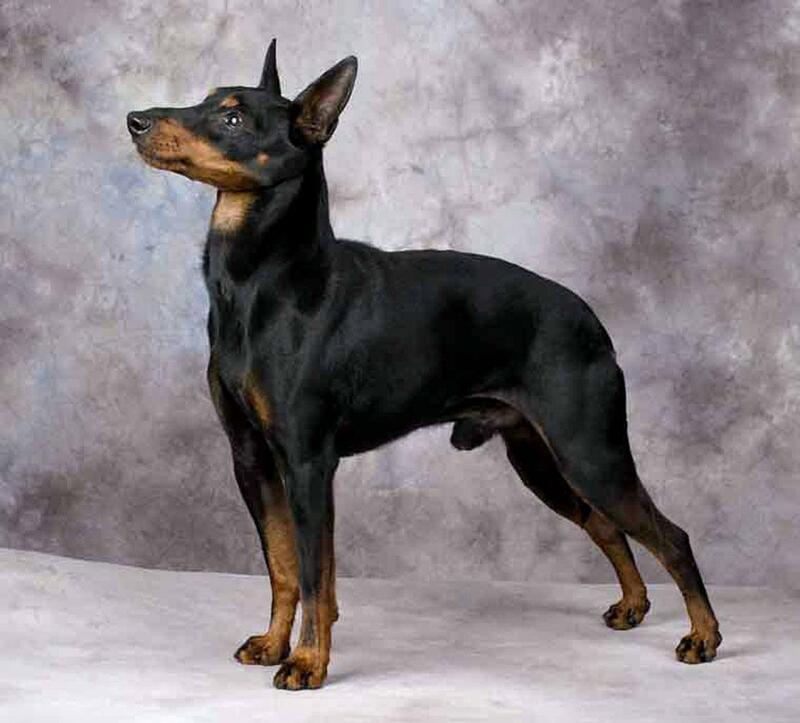 They can be considered as watchdog because they will always warn you of approaching stranger. The dog lacks aggression to be dangerous around kids. Their heart sings when they are around children playing with them. Overall they possess every good trait that makes them fabulous family companion. Behavior – It is a treat to have them around. The dog is well behaved inside and knows how to entertain people. Because of their calm temperament they make excellent therapy dogs. Their affectionate and caring nature helps people to defeat depression. It is also seen that patient recover soon when the dog is around them. 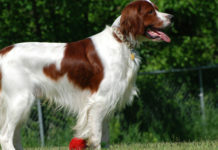 The dog is perfect combination of devotion, loyalty and innate desire to impress the owner. 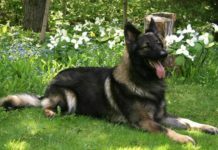 Activities Requirement – The dog has low exercise needs. This makes them suitable apartment dog. They should be taken daily on walk so that they remain fit. This breed enjoys outdoor play. 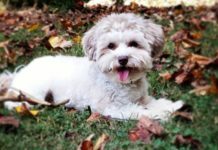 It’s more kind of indoor dog and if you have yard where the dog can run then there is no need to specifically provide it exercise. The dog can also be your jogging partner. However they should be conducted vigorous exercise because they are not bred for physical activities rather for spiritual reasons. 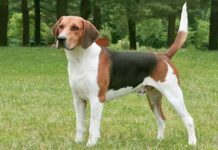 Trainability – It is an intelligent dog that loves to please humans. With the help of praise and appreciation, you can make the dog learn anything. They are good listeners and known for following their master’s command. You need to expose the dog to different situation and people so that it can have better understanding of the world. It is a medium sized dog and should be offered food that is specially formulated for medium sized dog. As they are not hyperactive dogs that buzz with energy so their diet should be simple so digestive enzymes can break down the food easily. They live around 11 to 13 years. It is not a hypoallergenic dog. 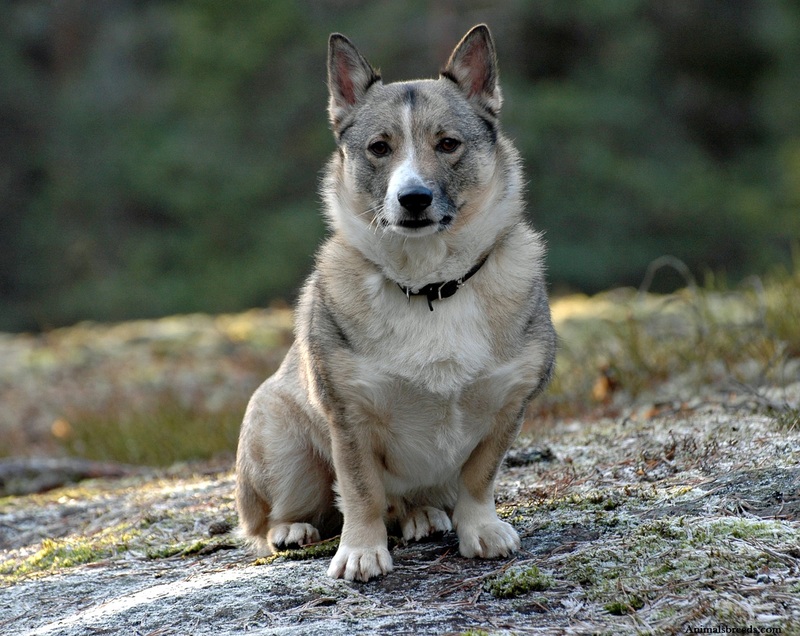 Being a purebred dog, they have a healthy life but no dog is immune to heredity disease. Few common problems of dogs’ are- hip dysplasia, progressive retinal atrophy, allergies, bloat etc. It sheds moderate to low. 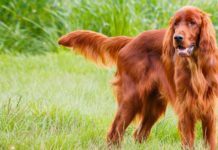 Daily brushing is recommended because it sports long coat which is wiry or straight. Brushing will keep its coat debris and mats free. Dry shampoo should be applied to its coat if required. Bath it only when necessary. Brushing its teeth and trimming its nails should also be included in its grooming regime. The dog is suitable for cold areas to moderate temperature areas. It makes wonderful apartment dog. They are patient around children and makes best playmate to them. The dog lacks endurance to be your long hours running partner.